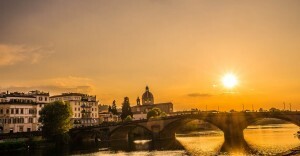 It was exactly 22 years ago, in the night between May 26th and May 27th, 1993, when the Georgofili massacre hit the city of Florence Italy, a safe city, where you can walk alone at night without having to worry. The infamous attack, a car bomb that exploded at 1:04 am in via Dei Georgofili, had been planned by the Sicilian Mafia. For Florence, that day is like 9/11 for New York City, even though the damage and the number of victims were limited. I remember being out with friends, in the S. Niccolò area: we all heard the noise of the blast, a noise I had never heard, that probably had never been heard in Florence since 1944, when the bridges on the river Arno had been destroyed by the retiring German Army. 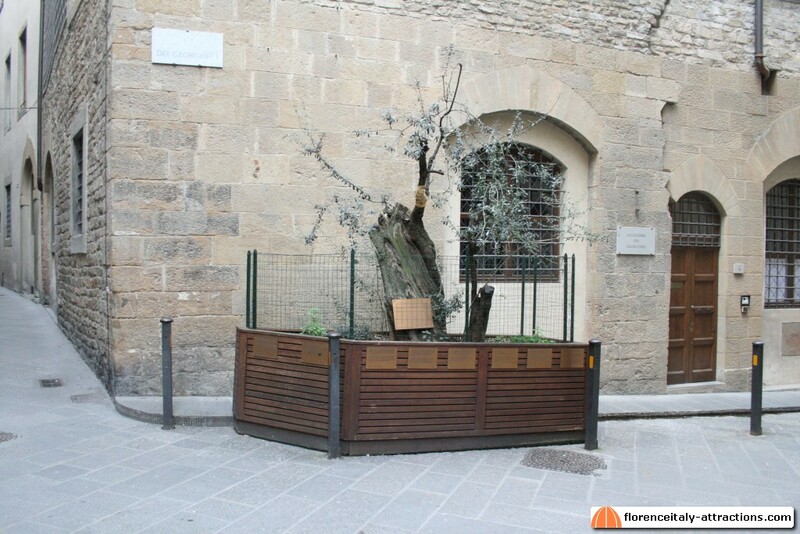 In the place where an olive tree (see picture) stands today, there was a hole as large as 10 feet and as deep as 6 feet. The historical building was partly destroyed, killing an entire family that lived there; an Architecture student who lived on the other side of the street was also killed, and 48 people were wound by the explosion. The apparent target of the attack was the Accademia Dei Georgofili, an ancient scientific institution established back in 1735, which studies agricultural techniques. It was immediately clear that this was not the real target; at the same time, it was obvious that killing people was a secondary effect of the bomb, because if that was the primary goal, would have been smarter to detonate the explosive during the day. No, the goal was another: the Uffizi Gallery. It was an attack to the cultural identity of Florence, Italy, and all the World. It was a bad period for Italy, with scandals hitting an entire generation of politicians and the magistracy very active also in fighting the Sicilian mafia. Exactly one year before, the criminal organization had killed Giovanni Falcone and Paolo Borsellino, two special anti-mafia magistrates, and the parliament answered with a new law against mafia, which condemned the bosses to special penalties like hard prison and isolation. 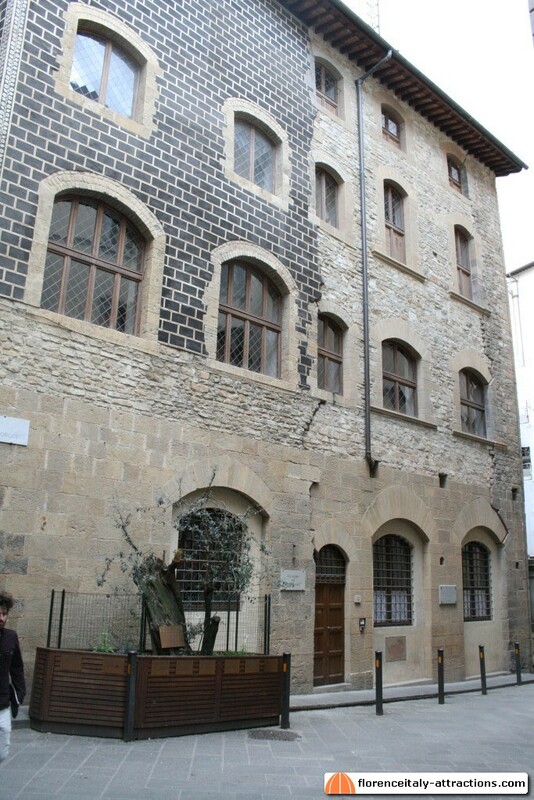 The Georgofili massacre was the extreme answer by mafia against the Italian government: they were trying to destroy the most precious properties of Italy. We don’t know exactly why the car had been parked there. To destroy the masterpieces of the Uffizi Gallery, that’s not exactly a smart place, and indeed the bomb produced limited damages. Most probably, according to the investigators, the persons who materially drove the car didn’t know the exact layout of the museum. Three paintings inside the Uffizi Gallery were totally destroyed. Some more were damaged and later recovered, entirely or just in part. No wall crashed, but the damage was made by pieces of glass of the windows blowing. The explosion caused damage to Palazzo Vecchio as well, where the ceiling of the Hall of the 500 moved because of the blast. 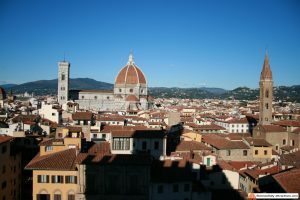 We have to thank Giorgio Vasari, the architect that built the roof in 1565, if the Hall didn’t crash: it was a structure designed to resist to earthquakes, and after 428 years it worked perfectly.